What is TRID? TRID, which stands for TILA RESPA Integrated Disclosure, is the culmination of several years of discussions between CFPB and members of the banking and title industries.TRID consolidates the existing disclosures required under TILA and RESPA for closed-end credit transactions secured by real property into two forms: a Loan Estimate that must be delivered or placed in the mail no later than the third business day after receiving the consumer’s application, and a Closing Disclosure that must be provided to the consumer at least three business days prior to consummation. First, the Good Faith Estimate (GFE) and the initial Truth-in-Lending disclosure (initial TIL) have been combined into a new form, the Loan Estimate. 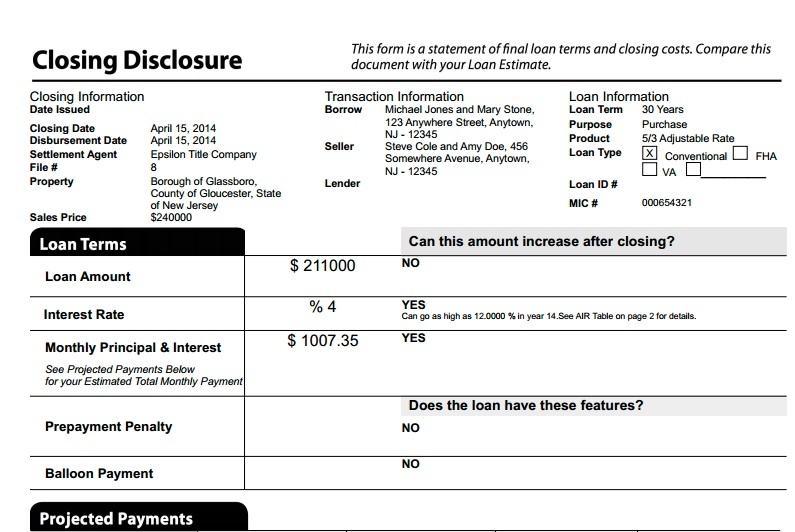 Similar to those forms, the new Loan Estimate form is designed to provide disclosures that will be helpful to consumers in understanding the key features, costs, and risks of the mortgage loan for which they are applying, and must be provided to consumers no later than the third business day after they submit a loan application. Second, the HUD-1 and final Truth-in-Lending disclosure (final TIL together with the initial TIL, the Truth-in-Lending forms) have been combined into another new form, the Closing Disclosure, which is designed to provide disclosures that will be helpful to consumers in understanding all of the costs of the transaction. How will this affect the consumer? Since October 1st, 2015 these new forms have been a part our life in the conventional lending world. “TRID” gives borrowers three days to think about whether they want to proceed with the mortgage or not. Are the “Know Before You Owe”, TILA-RESPA reform changes impacting consumers? Lenders must provide the Loan Estimate form to consumers within three business days of applying for a loan – which means three business days after the consumer provided the lender with their name, income, Social Security number, property address, property value estimate and mortgage loan amount sought. The Closing Disclosure form must be provided at least three business days before loan consummation (the time the consumer becomes contractually obligated to the mortgage, which is usually at closing). Any significant changes to the loan terms (the annual percentage rate (APR) becomes inaccurate, the loan product changes or a prepayment penalty is added) will restart a new three-business-day waiting period. Both the Loan Estimate and Closing Disclosure forms can be delivered in person, by mail or electronic delivery. Additionally, this new process will NOT impact cash sales, private money, commercial loans or those financed using HELOCs, so the current processes will still exist as well. Before TRID, once the lender had “Clear-to-Close’, their closing department would send closing instructions to the title company so they could prepared the “HUD”. Once the HUD was approved, the borrowers could close on their loan that same day. Now with the three day waiting period, the consumers have to wait before they consummate the transaction. Needless to say this can cause many delays for buyer and sellers. The smart lenders take advantage of the TRID guidelines and prepare and deliver the Closing Disclosure to the borrower themselves even before closing instructions are sent to the title companies. This helps shorten the closing process verses waiting on the title company to prepare the CD and deliver it to the consumer. Our attitude at Highlands Residential Mortgage is continuing education and focusing on providing consistent and timely communications to all parties to help ensure the client receives maximum value, and that is what it’s all about. © 2016 Washington Investor Loans/Graham Parham. All Rights Reserved.